Micromax Canvas Sliver 5 Q450, the slimmest phone ever for that elegant look ! 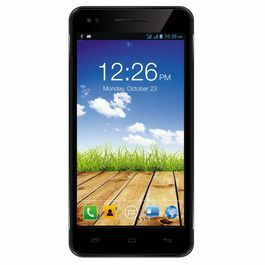 Micromax has recently launched it's new handset – Micromax Sliver 5 Q450. The launching of the product was done in June 2015. When Micromax says it's the slimmest phone ever, they mean it literally. Plus, the customers believe that micromax provides the best combination of classic designs and fair rates. Micromax Canvas Sliver 5 Q450 is definitely one of them. Micromax Canvas Sliver 5 Q450, have been much talked about it's slim fit design – even before it's launch. Today, the phone is already out in market for sale. And it's 5.1 mm of slim body with 4.8 inches of screen and the weight that is as less as 97 gram, seems to be the most alluring feature amongst all. The phone has covered itself well with the corning gorilla glass 3. The the screen resolution seems to be good enough with the count of 1280*720 pixels. To make the smartphone running on your fingertips, one needs such amazing processor. Micromax Canvas Sliver 5 Q450 houses itself with 1.2 GHz quad-core processor and the processor make of Qualcomm Snapdragon 410. Whereas, when you talk of the operating system, it comes with the latest version of Android – i.e. Lollipop 5.0.2. And when we talk of the RAM, the phone has that in the count of 2 GB. Thus, making the phone even more up to date. 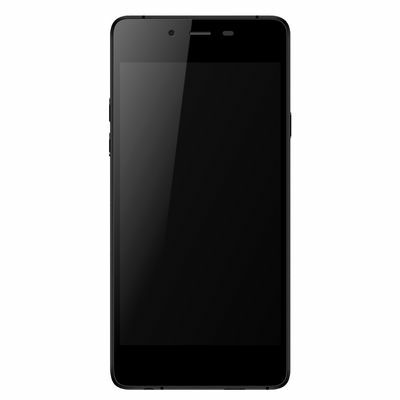 Besides the slim body fit, Micromax Canvas Sliver 5 Q4450 was also acclaimed of the 4G LTE connectivity. This feature surely speaks volume about the enhanced technology of Micromax Mobile Phones. Over and above the 4G LTE feature of the phone, wifi, GPS, Bluetooth and FM are the features that comes with the phone. 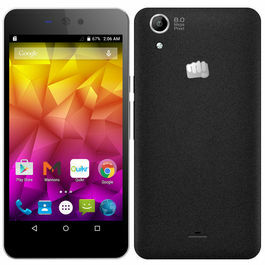 And unlike the predecessors of Micromax Canvas Sliver 5 Q450, this one comes with the nano-SIM card slot. 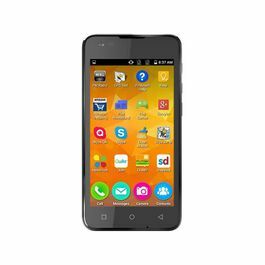 Knowing the variety of usage done by the new-age smartphone users, Micromax Canvas Sliver 5 Q450 have stacked itself with many apps. 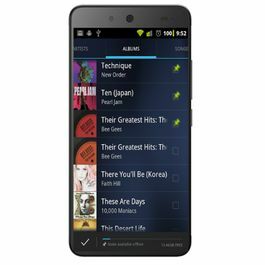 It has been pre loaded with the apps like – Housing, Hotstar, App Center, Quickr, Scandid, Clean Master, Snapdeal, NewsHunt, Chaatz and Swiftkey. Micromax Canvas Sliver 5 Q450 has stacked up itself with 8 MPs of rear Camera, which works with the help of Sony IMX219 sensor, 4P Largan lens and Blue glass filter. While the video recording quality, of the rear camera has been refined to, 1080P and 30 FPS. Coming forward to the front camera, it comes with 5 MPs of camera along with that beauty feature. The video quality and audio quality of the phone seems be of an adequate quality. The sound quality of the phone has been equiped with NXP Smart Power Amplifier and Dirac HD Sound, to create ultimate experience. 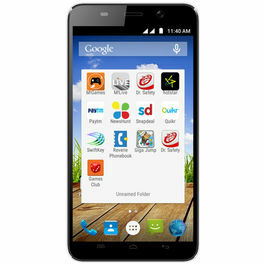 Micromax Canvas Sliver 5 Q450 comes with the internal memory space of 16 GB. The phone is backed with 2000 mAh battery that offers 8 hours on talktime and 345 hours on standby. Micromax Canvas Sliver 5 Q450, the slimmest phone ever for that elegant look ! 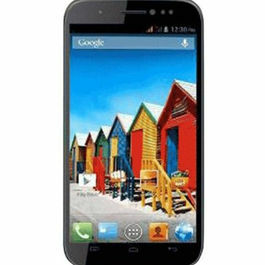 Micromax has recently launched it's new handset – Micromax Sliver 5 Q450. The launching of the product was done in June 2015. When Micromax says it's the slimmest phone ever, they mean it literally. Plus, the customers believe that micromax provides the best combination of classic designs and fair rates. Micromax Canvas Sliver 5 Q450 is definitely one of them.Team up your Micromax Canvas Sliver 5 Q450 with these amazing products (recommended, charged extra) for a whole new smartphone experience:Power Ace Power Bank 5200 mAh, whiteTrue Blue Voice Bluetooth Headset TBV - S61 (White)Design & Display Micromax Canvas Sliver 5 Q450, have been much talked about it's slim fit design – even before it's launch. Today, the phone is already out in market for sale. And it's 5.1 mm of slim body with 4.8 inches of screen and the weight that is as less as 97 gram, seems to be the most alluring feature amongst all. The phone has covered itself well with the corning gorilla glass 3. The the screen resolution seems to be good enough with the count of 1280*720 pixels.Processor & OSTo make the smartphone running on your fingertips, one needs such amazing processor. Micromax Canvas Sliver 5 Q450 houses itself with 1.2 GHz quad-core processor and the processor make of Qualcomm Snapdragon 410. Whereas, when you talk of the operating system, it comes with the latest version of Android – i.e. Lollipop 5.0.2. And when we talk of the RAM, the phone has that in the count of 2 GB. Thus, making the phone even more up to date.Connectivity Besides the slim body fit, Micromax Canvas Sliver 5 Q4450 was also acclaimed of the 4G LTE connectivity. This feature surely speaks volume about the enhanced technology of Micromax Mobile Phones. Over and above the 4G LTE feature of the phone, wifi, GPS, Bluetooth and FM are the features that comes with the phone. 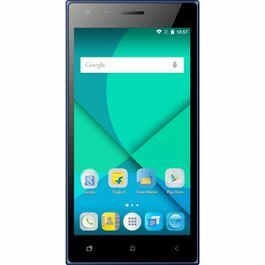 And unlike the predecessors of Micromax Canvas Sliver 5 Q450, this one comes with the nano-SIM card slot.Other FeaturesKnowing the variety of usage done by the new-age smartphone users, Micromax Canvas Sliver 5 Q450 have stacked itself with many apps. It has been pre loaded with the apps like – Housing, Hotstar, App Center, Quickr, Scandid, Clean Master, Snapdeal, NewsHunt, Chaatz and Swiftkey.Camera Micromax Canvas Sliver 5 Q450 has stacked up itself with 8 MPs of rear Camera, which works with the help of Sony IMX219 sensor, 4P Largan lens and Blue glass filter. While the video recording quality, of the rear camera has been refined to, 1080P and 30 FPS. Coming forward to the front camera, it comes with 5 MPs of camera along with that beauty feature.Multimedia The video quality and audio quality of the phone seems be of an adequate quality. 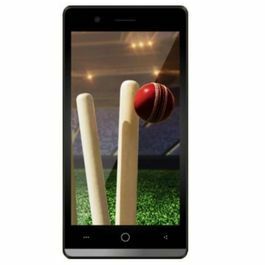 The sound quality of the phone has been equiped with NXP Smart Power Amplifier and Dirac HD Sound, to create ultimate experience.Memory & BatteryMicromax Canvas Sliver 5 Q450 comes with the internal memory space of 16 GB. The phone is backed with 2000 mAh battery that offers 8 hours on talktime and 345 hours on standby. 'Chat and Connect' in a language you like with Micromax A106 Canvas Unite 2 and enjoy endless talks with your loved ones!Android mobile phones have brought in the revolution, to the smartphone world. It suits all pockets, and even that grand pa of your's could operate through it's easy interface!Smarter way of buying smartphones is here; with an expansive range of unboxed mobiles. Infibeam brings you, your choice of phones with the jaw-dropping rates and quality!